Employment litigation is the process that begins when you file a lawsuit relating to your employment law rights and ends when the lawsuit is completed, typically either through a settlement, the dismissal of your case, or a final ruling by a judge or jury. The whole process can last only a few days, such as if there is an early settlement, but it also can last many years. Typically, the first stage of an employment lawsuit is the “discovery” phase. During discovery, the employer and employee learn information about each other's facts and evidence. For example, your lawyer can send written questions (called interrogatories) and requests for documents to the lawyer representing your employer. In addition, your attorney can take depositions of key witnesses to learn what they know and what they are likely to say at a trial. A deposition is basically an interview under oath, and is similar to trial testimony except it usually takes place in a lawyer’s office instead of in a courtroom and there is no judge or jury present. In New Jersey, the discovery phase in an employment case typically lasts between 6 months and 2 years. After discovery is over, either party can file a motion for summary judgment. If an employer files a motion for summary judgment, it asks the judge to dismiss the case on the basis that even if you are able to prove all of the best possible facts that support your claim you still would not be able to meet the legal standard to prove your claims. For example, in a wrongful termination case the employer might claim there is not enough evidence to prove you were fired for an illegal reason such as because of your age, race or gender. Assuming you have enough evidence to survive a motion for summary judgment and your case has not settled, the next phase of litigation is usually a trial. Most employment law trials are decided by a jury. However, a judge still makes rulings on legal issues including what evidence can be used and explains to the jury what each side has to prove to win. If you win at a trial, the judge or jury can award you damages. In employment cases, this typically includes damages for your emotional distress and your lost wages and benefits. 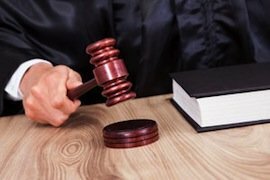 In some situations the judge or jury also can award you punitive damages to punish a company or an individual for especially egregious behavior. In most discrimination and retaliation cases in New Jersey and New York, the employer also can be required to pay you attorney’s fees and some or all of your out-of-pocket cost of pursuing your lawsuit. For more information please see our Employment Law Damages and Other Employment Law Remedies pages. Even after the trial is over the litigation process is not necessarily over. Either party can appeal to try to reverse some or all of what happened at the trial. One of the best alternatives to litigation is negotiation. Employment lawyers frequently write “demand” letters to companies in which they attempt to negotiate a reasonable severance agreement or settlement package before a lawsuit has been filed. In addition, even after a lawsuit has been filed there are usually numerous opportunities to attempt to negotiate a settlement during the litigation process. Mediation is a process through which a neutral (typically another lawyer or a retired judge) tries to help the parties reach a settlement. Similarly, in both state and federal court judges often hold settlement conferences to try to help the parties amicably resolve their claims. Yet another alternative to litigation is arbitration. Arbitration is when the parties hire one or more private individuals to act as, in effect, the judge and jury in their case. While arbitration generally is considered less favorable to employees, it might be required if you signed an arbitration agreement with your employer. Can You Represent Me in Litigation? The employment lawyers at Rabner Baumgart Ben-Asher & Nirenberg, P.C. represent employees through the entire employment litigation process, from pre-litigation negotiations to appeals. If you would like to talk to us about filing a lawsuit on your behalf please feel free to either contact us online or call us at (973) 744-4000.